When dealing with a merged family occasionally it isn't hard to hit bumps in the road. One of the things it is important to remember is that you need to respect each other first. When I say respect what I am referring to is not just the way you treat each other but the way we allow others to treat our spouse or significant other. It isn't unreasonable to expect your family to accept the person you're with. We are not talking about people who are abusive or alcoholics or even those who have more serious issues. One of the things that drives me crazy is when people don’t understand that asking you to choose between them and your spouse is truly crossing the line.It's completely reprehensible. None of us are perfect, yet when you love someone it always seems like the first thing some people will do is think that they have the right to make you choose between them and your significant other. My feeling is “Shame on you,” how could anyone be so selfish that they believe it would be alright under any circumstances to put a parent or friend in that position? We all disagree from time to time and as individuals we each believe we are special, and to some extent we are. Knowing that someone loves you does not give you the right to make ultimatums. It doesn't give you a right to be disrespectful of someone's spouse or significant other. That kind of behavior is extreme and unrealistic, when people love you they will get in your face at times. They will tell you when you're messing up, that is a part of loving someone. 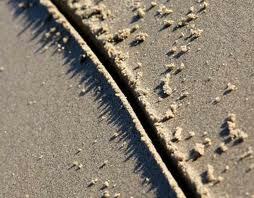 It doesn't however give anyone the right to draw lines in the sand and say it’s me or them. My feeling on this issue, is pretty straightforward if you don’t like what I have to say don’t listen, if you can't respect me and who I am with you have the option of not being a part of my life. That choice is solely yours alone. If I can respect your life choices and how you and your partner choose to live your life you should show me the same courtesy. It’s one of those rare pearls of wisdom that still makes sense in a twisted sort of way. We each are entitled to happiness no matter who it may be that makes us happy. When we take the time to respect the relationship we are being supportive if when we disagree. Respect is a two Way Street, when you are given respect you are required to return that same respect. It’s just good manners and common sense. Yes we finally did it. It was a hard decision to make and of course you worry and ask yourself a million questions, like is it too soon are we ready for this. So we took a trip to North Carolina and picked up our new addition to our family. Patton named of course after “General Patton” joined our family last month. I have been a little hesitant to write about her because there is always that worry now in the back of my mind, what if something happens to her? Of course there was the fear of going through the heartache we did when Gunny got sick. I will always miss her, she holds a special place in my heart still. I can honestly say I know it was the right thing to do at the right time. We needed to fill that empty spot she left, and Patton was the right girl for the job. Our charming little devil and I say that with tongue in cheek is making herself right at home. She is extremely feisty and strong willed. My poor Annabelle was not expecting to be pounced on by a puppy, and after a few initial confrontations the girls are getting along very well. We took Annabelle with us to make sure they would get along and that she would be alright with a new addition. She did surprisingly well and it was an enjoyable drive home. Although I do have to say that should we ever take a long trip with Annabelle again I will invest in some beano for her as we drove at least half of the time with the windows open. Everyone is in love with our little devil who has taken over our house. I forgot how much work a puppy was. But she is well worth it. In between work, school and everyone else I am greeted at the door when I arrive home from work by my two girls, each different and special in their own way. Patton looks at me with her silly little face and I melt inside. I love my bulldogs, having had other dogs throughout my life there silliness can't help but make you laugh. I have found my laughter again. It is something my family depends on and I do as well. Life does not always give us what we expect but it is how we find our way during adversity that counts.